The city of Las Vegas thrives off of its promise to tourists that upon entering the walls of bright lights, they will embark on a journey that is neither remembered nor forgotten. Unjustly unacknowledged by these newcomers, however, is the emergence of a highly eclectic and robust fashion scene of Las Vegas, which is now composed of local boutiques, seasoned designers, and enough mass consumer retail stores to fill the local Lake Mead. Amongst the glitz and glam of the strip, some designers are choosing to take a more relaxed and distinctive approach to outfitting the local Las Vegans who do not wish to fit in the cookie cutter reality of many retail chains. Miah Au is the owner and designer of AU USA, a brand that places an emphasis on creating statement pieces with enough malleability for the consumer to pick and choose his or her accessories and bottoms. Au did not have a conventional fashion background, and laughs when describing his projects in Fashion 101 as, “nonsense”. Au talked about his clothing line being the “conversation starter” and partly attributes this “approach me” attitude to his relationship with skating. Skate culture has become a contestation to the norm of fashion by introducing seemingly plain and rugged garments onto usually colorful and primarily static runways. Au’s combination of skate and modernity combines to make shirts that are both stylistic and grunge. 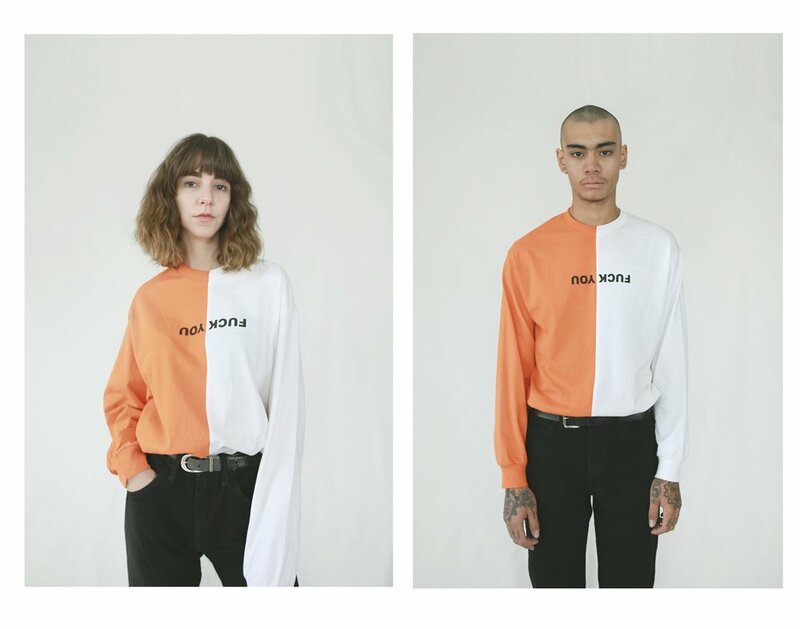 AU USA has created a line of clothing that embodies individuality and expression through t-shirts that express ideas that are outside of societal norms and can embody personal experience. AU t-shirts are accented with quotes that suggest the wearer doesn’t give a damn. 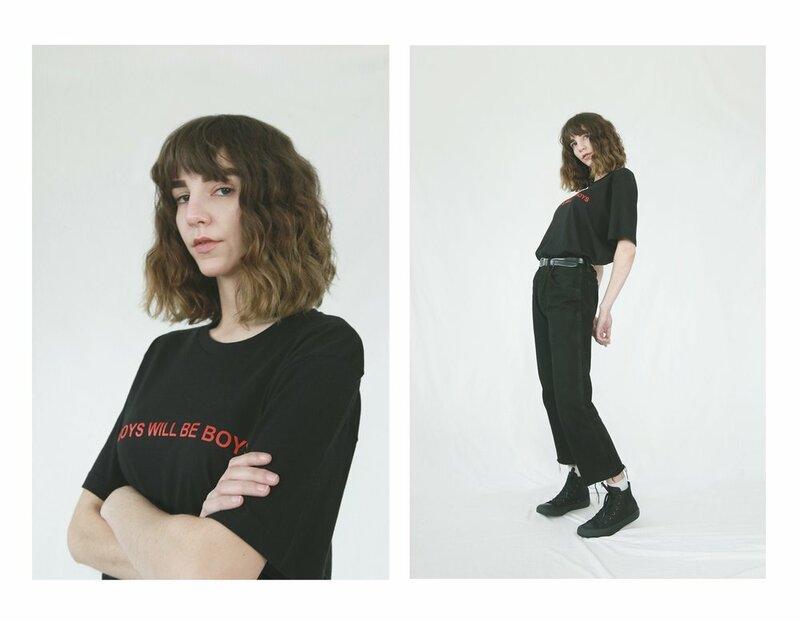 Their product also encompasses a more recent emphasis on the gender fluidity of clothing. The ability of clothing to be worn by all genders has become a focal point of designers in the past year, and this desperately needed “trend” has stuck. Au’s shirts are shown on both men and women, which suggests he is also partaking in this pragmatic change in fashion. All sexes are now being given the ability to explore outside the normative boundaries of what was once gender specific clothing. Las Vegas, as a community, will now have the opportunity to shop a brand that not only encourages individuality but also is partaking in the revolution of fashion as it becomes an integral realm of fostering equality of self expression. To recreate the fashion industry into a place that is safe for those who do not wish to conform to one gender, whether it be in their lives or solely in their fashion sense, will revolutionize a culture that is seemingly divided on the issue of gender identity. AU USA is taking a step in this direction, and in turn, has created a brand for consumers that will partake in one of the largest social and political revolutions in history.